If you’re the type teenager who’s so focused on school, she practically forgot about planning her Quinceanera that’s right around the corner, relax. We’ve got you covered! 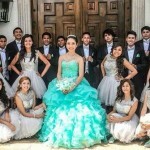 Even if you have only 3 or 4 months before your fifteenth birthday, a Quinceanera is a family affair, so your siblings, cousins and other relatives will be glad to give you a hand. Just think positive and everything will go just fine. Even if you’re worried about that Quinceanera waltz choreography that might not work out so well, we’ve got an idea for that—and maybe an even better alternative! 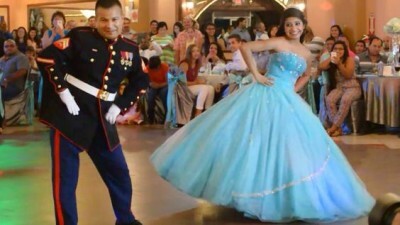 So here’s your ultimate guide for planning the most perfect last minute Quinceanera party ever! You probably won’t have too many venue choices left with your Quince just a few months away, therefore schedule the Mass first. Book the closest church that’s available on your birthday and then triple-check with the secretary and anyone else on the church staff who’s in charge of the calendar. Once the Mass has been scheduled, look for venues as near to the church as possible so that you and your guests won’t have too much trouble navigating between the two. Different locations for the Mass and the party can add transportation expense and even confusion among guests who aren’t from your hometown. You only have a few months—maybe only weeks—before the big day, so pull your guest list together as quickly as you can. If you want a small intimate gathering, invite only your family and your closest friends, but still leave a little room for any unexpected guests that your relatives might bring. Also, take into account the size of the venue. 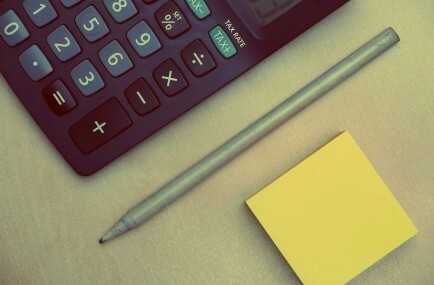 It can help you keep the headcount under control. 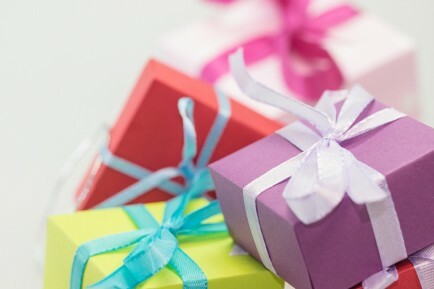 Since your Quince is only a short time away, it’s better to purchase paper goods and favors locally. At this late date, ordering online can be tricky. 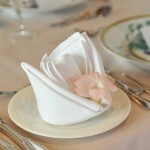 However, you can order classic white invitations and tie them with a ribbon to match you Quince color scheme. Or if you want a more personalized touch, get some help from the girls in your court. Note: If you keep them super simple, and keep your guest list small, you can DIY your invites. 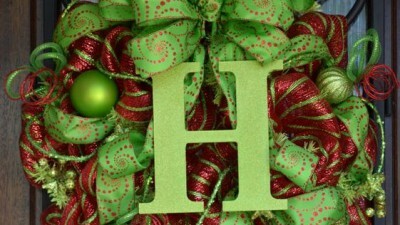 There are plenty of templates online, plus you’ll find invitation kits in the bridal section of your local craft store. Just about anything that’s “generic” in that area—as in, it doesn’t say bride or groom anywhere—will work great for a Quince. If you’re planning an intimate gathering, talk to your close female relatives and ask if they’re willing to whip up some of their favorite recipes for your Quinceanera. 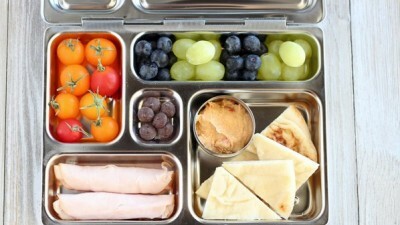 Potlucks are also a good bet if you don’t have enough time to hire a catering staff. If your venue does offer catering service, though, you absolutely must make time for a taste test before the big event. Since by this time your guest list is already set, your budget for food per person shouldn’t be much of a hassle. Just remember to allow a few extra in the headcount because there are bound to be some last minute plus-ones at your party. To avoid that as much as possible, set your RSVP date for 2 weeks before the Quince. This will help cut down on last minute additions and will really help if you already have a fairly tight budget. One of the most important elements in a Quinceanera is the cake, so choosing one that’s both beautiful and tasty should be a priority. Again, just match the color and theme of your cake to your Quince, and make arrangements to have it delivered on the day of your party. Tip: If you plan to serve cake to all of your guests, you can order a smaller 2-tier cake for you to cut, then have sheet cakes on the side. Another creative idea is to order simple cupcakes in addition to a small cake for cutting. You can even order different flavor cupcakes to suit different guests’ tastes! 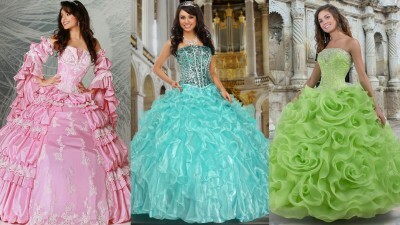 If your theme is set, and it goes well with your chosen venue—go buy your Quinceanera dress! 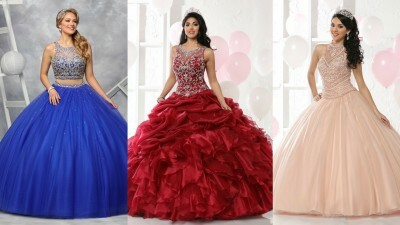 There are lots of dress shops and boutiques where you can find a lovely dress suitable for your Quince. Be sure to check your parent’s budget before shopping, though. To cut expenses even more, choose a dress that already fits reasonably well so you’ll only need minor alterations. Tip #1: To limit alterations to the bodice, choose a corset style. You can lace it as snugly or as loosely as you wish. Don’t forget to buy your Last Doll, Bible, and rosary for the Mass—unless you know your family will be giving those to you as gifts. 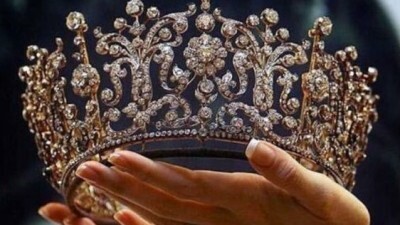 Also, shop for shoes, tiara, your two bouquets, and any other Quince accessories that you’ll need. Some shops offer Quinceanera packages if you don’t have time to choose every accessory individually. Pre-set packages definitely save time and sometimes can save you money, too. If it’s too late to book a band but your family still wants excellent music, hire a superb professional DJ. Just make sure he or she understands exactly what kind of crowd will be there. You don’t want your older guests made uncomfortable by non-stop loud or rowdy music. 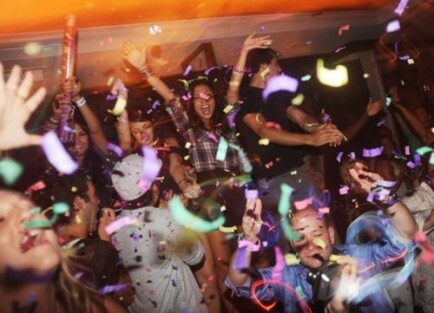 A really good DJ knows how to choose a variety of songs to keep your party going and will do so with class! If you and your court don’t have enough time to practice a choreographed waltz, plan a simple waltz with your dad, grandfather, and any other significant male relatives. This way you won’t have any weekly practices taking time from your studies. 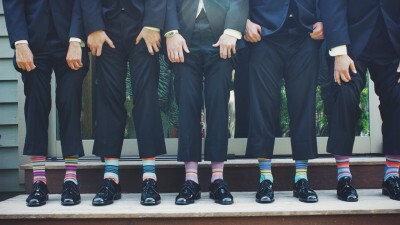 We can also guarantee that the men in your life will be just as proud of you for your good grades—many even prouder—than they would be for you to learn a bunch of fancy footwork! For these details, rely on suggestions from family and friends. This will save you having to search through magazines or spend time online. If you have aunts or cousins who are great with cosmetics and hair, let them help. 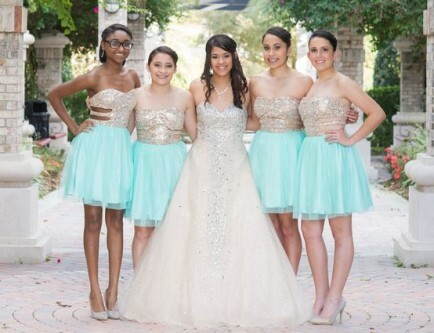 Remember, your Quince is short notice so every minute counts. There are also professional stylists and cosmetology schools where you can get quality service. 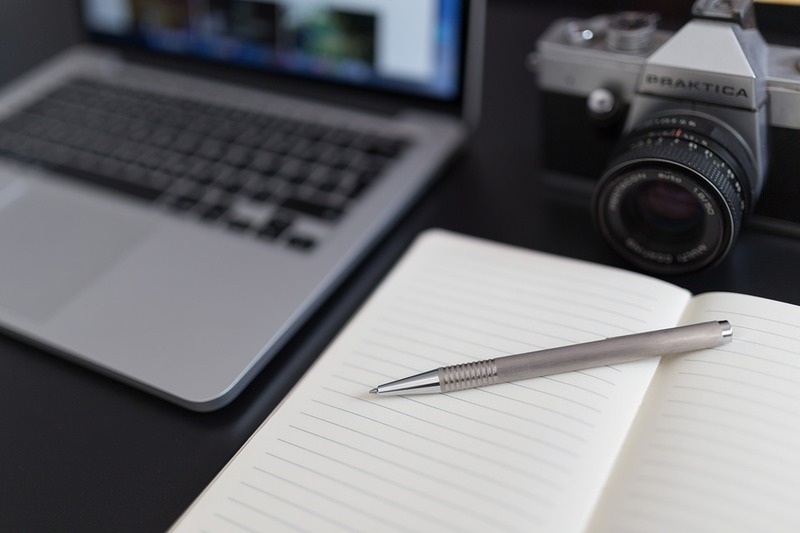 As for videographers and photographers, book the best one you can find but book now. Even a few weeks’ notice can still get you someone super-professional and reliable. 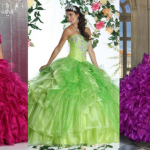 Check out our blog for the perfect Quinceanera day checklist. It’ll not only keep you focused on your big day, but it’ll help you with planning, too! 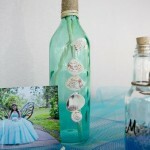 Short notice or not, your Quinceanera is still a grand event and demands proper planning to be successful. But you’re a smart cookie, so everything will be wonderful if you follow our tips and hang in there.